A roundup of things consumed by our editors. 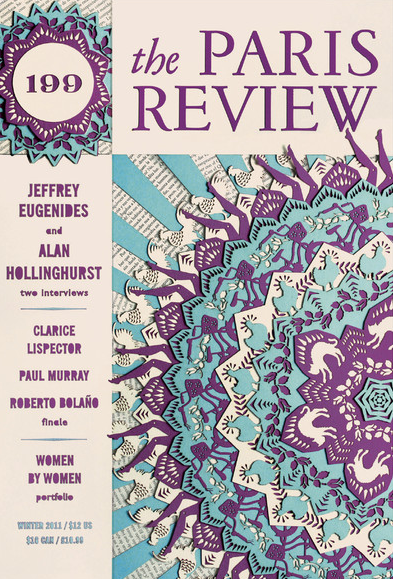 Another season, another issue of The Paris Review and another catalog from New Directions. The most exciting connection between these two arrivals on my desk being the Clarice Lispector stories in The Paris Review, and the news that the late Brazilian writer’s works will be given updated translations by the venerable publisher, and that one book, A Breath of Life, will be in English for the first time. Also, the latest P.R. contains a story from our dear friend Adam Wilson, which we heard him read earlier in the year when he teamed up with Benjamin Hale and Julia Jackson at Brooklyn Winery for one of our events earlier this year. I’ve got my big yearly vacation coming up in a few weeks, and picking what I’m going to read actually stresses me out. I will be on a foreign island with no bookstores for ten days, so if I don’t pick wisely, I’m screwed. After Akiva Gottlieb’s piece at Tablet, “War Horse,” I’m considering spending a part of my time off bulking up on Josephe Heller. I’ll reread Catch-22, but then maybe get acquainted with his other books also? I also picked up a first pressing of Terry Riley’s 1964 In C in perfect condition for practically nothing. As I finish up my yearly Best Of lists, where I listen to record after record after record of newer stuff, Riley’s piece is a nice way to decompress. Given the amount of praise I’ve read for it, I’d been meaning to read Paul Harding’s Tinkers for a while; this week I got around to it. It’s a novel that’s difficult to summarize: describing its juxtapositions of an old man on his deathbed with his younger life (and the life of his father) doesn’t accurately capture the adventurous stylistic shifts that Harding makes throughout, to impressive effect. There’s a very moving generational story here; there’s also a master class in using different styles towards an emotionally satisfying conclusion. In some ways, it would make for an interesting double bill with Blake Butler’s Nothing. Subtitled “A Portrait of Insomnia,” Nothing does function as a history of, and meditation on, sleep and sleeplessness. There’s also plenty of Butler’s own life in here, from sudden memories of childhood anxieties and adolescent fantasies to wrenching accounts of his father’s dementia. In some ways, it feels like the key to much of Butler’s fiction to date, explaining the source of some of the surreal imagery and unexpected themes of his novels and short fiction. But it’s also, ultimately, as hallucinatory and unknowable as anything Butler’s written. The staging of an unexpected performance is also at the center of Kirsten Kaschock’s Sleight — specifically, an unprecedented reimagining of the concepts of the multidisciplinary art form of the title. Kaschock has set herself a massively ambitious task here: creating a new art form and a world in which said art form is an established part of life; dissecting several sets of familial relationships; throwing in a handful of surreal, stylized sequences; and occasionally shifting into a more experimental use of language. Unfortunately, it didn’t always work for me: there’s conflict and detail for three novels of this size within Sleight, but at times that detail led to a blunted emotional effect. At its best, there’s a visceral immediacy to Sleight, but there are also some awkward moments of exposition and interaction throughout. I should also throw in a nod to Andrew Krivak’s The Sojourn, which follows a young soldier fighting for the Austro-Hungarian Empire during the first World War. It’s a terse, naturalistic book that quickly moves after its opening to a shocking moment of violence; for a novel of war, the most resonant scenes for its narrator seem to come after the battles have ended; the final third of the book was, for me, the strongest, as the protagonist drifts through a surreal Eastern European landscape. Thanksgiving in San Francisco meant that under the gravy-soaked weight of a post-tryptophan stupor, I rallied this week to Green Apple Books in the city’s Inner Richmond district. It’s a favorite among locals for its varied selection, generous buybacks, and veritable cave of kitten calendars. I made multiple purchases at once: a rarity for me in SF, typically saved for when nestled in the bosom of its choice taquerias. But at Green Apple, cheap and rad are served up like hot pozole. Within moments I’d snagged a gently used version of Gilbert Sorrentino’s Mulligan Stew, the cover of which should be playing over Coming Attractions at one of those hepcat theaters where they serve you food and screen Youtube hits. I also continued my glorious ride on the Occupy bandwagon. First I picked up semiotext(e)’s The Violence of Financial Capitalism by Christian Marazzi. Published last year, in title and design it feels like the kind of thing aliens will hand us on their arrival: a clean, pocket-sized explanation of how we ruined our societies. Or you can do what all the smart, well-read econ scholars seem to do in 2011: download a pirated PDF of it. Occupy Option #2 was more time-tested: The Theory of the Leisure Class, Thorstein Veblen’s 1899 jam about conspicuous consumption and how most of us are still trying to prove to the rest of our tribe that we should be the leader because we have the best taste in merch. Not unlike the governing principle of most blogs, come to think of it. I cashed out on The Monkey’s Wedding by Joan Aiken (haunting and beautifully appropriate to winter in its short stories of spooky endings and grotesque regeneration) and a rock bottom remainder of Zadie Smith’s Changing My Mind, a collection of “occasional essays” on many topics, including six lit pieces on Kafka, Barthes, Nabokov, Hurston, Eliot, and Forster. I even bought the trade paperback of the first Hunger Games installment, as a gift – a gift! – for a sixty-two year old sci-fi stoked anthropologist. I just don’t get these kids and soon-to-be senior citizens nowadays, but I’m told the book is really quite something, and 2.9 million of anything in print since King James is hella impressive. “Hella.” Guess I was in California long enough.